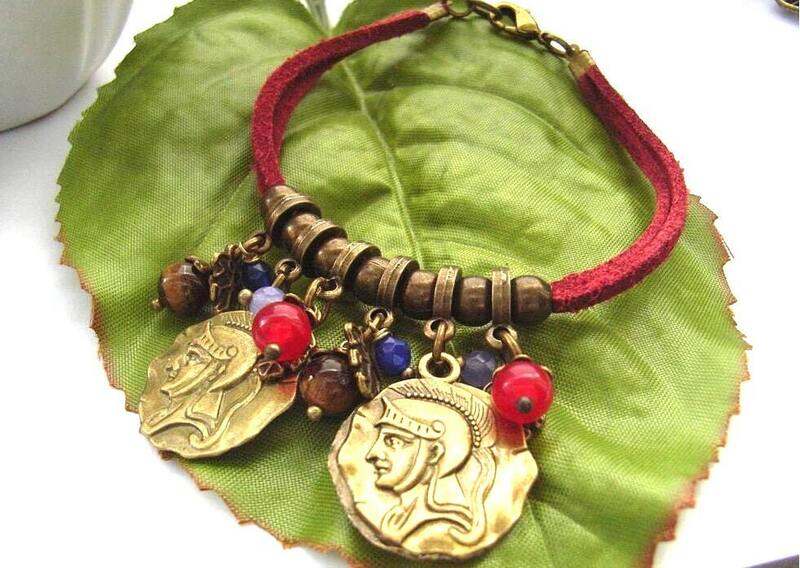 This charm bracelet includes two coin charms with ancient warrior hears on, quartzite beads in red, blue and lilac and tiny leaf charms. The vintage style comes from the use of antique bronze tone metal. The bracelet is set on a double strand of red faux suede cord and fastens with antique bronze tone findings. Folksy :: Buy "Big Red Owl Charm Bracelet"